I think we’re all agreed that content marketing is one of the most effective forms a startup can use. It costs less than traditional ad buys, it’s easier to measure than PR, and it reaches a targeted audience while establishing you and your company as the experts in that field. But if your company is running at full capacity, how do you build a long-term content marketing campaign that covers all your big issues, and gives your prospects exactly the content they need without interruption? 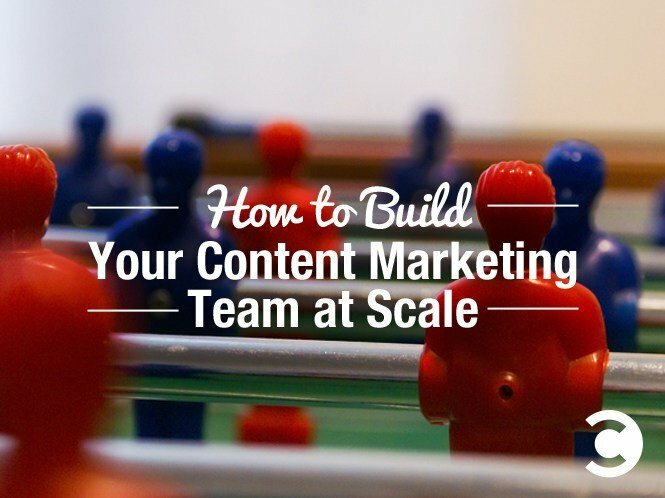 You can build an effective content factory if you’re careful and methodical. Don’t just start hiring writers and editors at random. Be smart, work in phases, and let people grow into their roles as the company grows. Start out by hiring a writer, preferably someone with several years of experience. I always like working with journalists or even creative writing majors more than marketing specialists. Journalists know how to get the point across with fewer words. They’re not prone to marketing jargon, and they’re natural storytellers. In phase 1, you need to start a blog and produce content around the brand and the problems your product can solve. Make sure there’s a call to action on every blog post and article, and start measuring the traffic to make sure leads are coming in. Your second hire should be a social media or community manager. Their job is to further develop the social channels around your industry and verticals, build your social networks, and find new ways to share your content. Your writer should move up to the role of managing editor (this is why you want someone with some experience first). He or she will create an internal writing strategy that gets other employees to write, as well as a guest blogging strategy. Their main focus is to fill the blog with content—not just their own, but employees’ and guests’ as well. Focus on the same metrics as before, but start looking at things like time on site, bounce rate, and click-through rate. Also, pay attention to social sharing metrics, as well as the number of leads. That number should be going up, because you’re starting to spend some serious money on content creation. Hire another writer. You’ll find that most internal people don’t have time to keep up with their own posts, plus you want to be able to offer multiple white papers, special reports, and email newsletters. You also need to start buying advertising on LinkedIn, Facebook, and industry newsletters, or through well-known groups like MarketingProfs. Next, you want to hire a digital strategist to run your email marketing campaign. The overall content direction should come from your managing editor, and you need to pay attention to all the metrics. Your new strategist should be familiar with email analytics, which will be folded into your total measurement strategy. Measure open rates, click-through rates, and headline effectiveness through A/B testing. Make sure you use an email service provider who can provide you with that data. Round out your content marketing team with a researcher—not a library researcher, but a real stats market researcher. This is the person who will come up with the primary data that you own and create. Your own data is the best performing marketing deliverable you can possibly write or make. If you can come up with that original data, your company will become the expert everyone else quotes in their blog posts and tweets. You’ll win all kinds of PR and earned media attention from your industries, which can ultimately increase leads and improve sales. During this process, you can use contractors to fill the writing and design holes you have. You also need to encourage people in your different business units to also provide content. They don’t need to be writers — you have a writer and a managing editor for that — but they need to provide you with solid information your audience will want to read. Ultimately, a great content marketing team is focused on delivering the best content for their customers and readers. If the content is not helping the individual move forward in life, you better get moving… because someone is about to take your place.